1.Roll out one phyllo disk and put it in a baking tray, grease with olive oil. 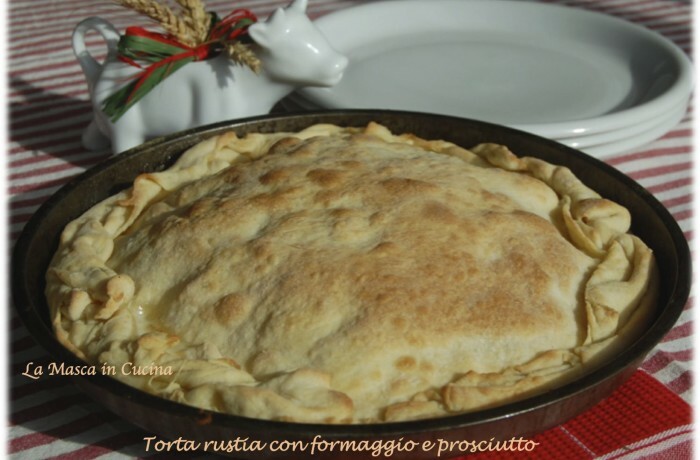 2.Cut stracchino cheese and gorgonzola cheese in pieces and mix it with the liquid cream in a bowl, then fill the phyllo with the cheese mixture and cover with thin slices of Marchisio Cooked Ham. 3.Add pepper to taste on top, if you like it. 4.Cover all with the other disk of phyllo, join the edges with the other disk of phyllo and roll them together to seal the pie. 5.Drizzle some olive oil on top and oven cook at 200°C. The pie is ready when it’s golden and crispy: with the home oven it takes about 10 minutes, with a wood oven three minutes are enough.